Unfortunately for employees, their workplaces may become less safe in the near future due to a new law that was passed in early April. The law will weaken the requirements for employers to report employee injuries and illnesses. Specifically, the law will decrease the amount of time that employers within hazardous industries are required to keep accurate employee injury records. The old standard was five years; the new law requires just five months. The previous five-year-long record keeping rule, called the Volks rule, was one of the more prominent Obama administration labor reforms. During that five-year window, OSHA could penalize a company for safety violations. The Volks rule was deemed an “unlawful power grab” by chairman of the House Workforce Protections Subcommittee, Representative Bradley Byrne (R-Ala.), who sponsored the new bill, according to the Insurance Journal. President Donald Trump recently approved the bill after it went through congress via the Congressional Review Act of 1996, a process that makes the resolution immune to filibuster by the minority party, which in this case was the Democrats, according to the Huffington Post. The Occupational Safety and Health Administration (OSHA) is tasked with assuring “safe and healthful working conditions for working men and women by setting and enforcing standards and by providing training, outreach, education and assistance.” Safety industry experts worry that the loosened requirements will allow companies that have hazardous occupational positions to conceal or even lie about their injury data from OSHA, cutting costs for themselves while sacrificing the safety and well-being of their employees. “This will give license to employers to keep fraudulent records and to willfully violate the law with impunity,” according to a former OSHA policy adviser. This new rule will make it more difficult for OSHA to do its job of recognizing dangerous occupations, negligent employees, and to implement necessary changes. What you, as the employee, need to know is that your workers’ compensation benefits should be made available to you no matter who is at fault: your employer or an accident that you inadvertently caused. 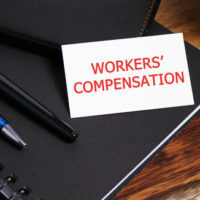 While some companies’ policies will likely become more hazardous to their employees, especially those whose occupations already involve a high level of risk, this rule will not change Florida’s workers’ compensation system. If you are injured on the job or become sick, you have the right to seek medical and wage replacement benefits from your employer under Florida’s workers’ compensation system. We strongly urge you to contact an experienced attorney with the Celeste Law Firm for any questions or concerns you have regarding your workers’ compensation benefits. Procuring medical and indemnity benefits can be incredibly difficult in even what would seem to be a cut and dry accident. Call an experienced West Palm Beach workers’ compensation attorney today at 561-478-2447.